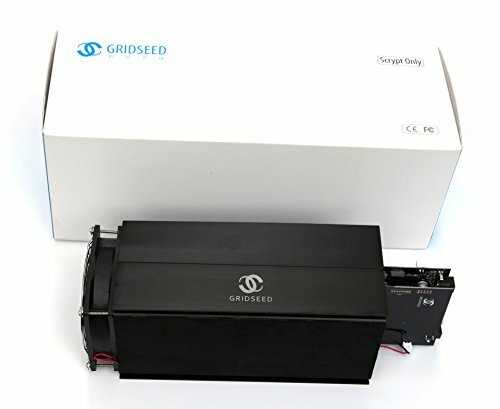 The Gridseed G-Blade miner has the following specs:- There are 2 PCB Panels in each Miner. Each Panel has 40 GC3355 chips. Each panel has it's own power socket and usb port. Therefore, one 80-chip blade miner is equivalent to 16 Gridseed 5-chip USB miners Official Scrypt hashrate is 5.2M (2.6M on each panel) Scrypt only mode: 64-70W on each panel. (140W per miner) PSU/Controller/USB cables are not included. Please contact us with any questions or comments. Please note that this miner does not come with power cables included.